Don't let the great golf courses in Vermont go unplayed! Plan your Vermont golf vacation now through the Birch Ridge Inn. 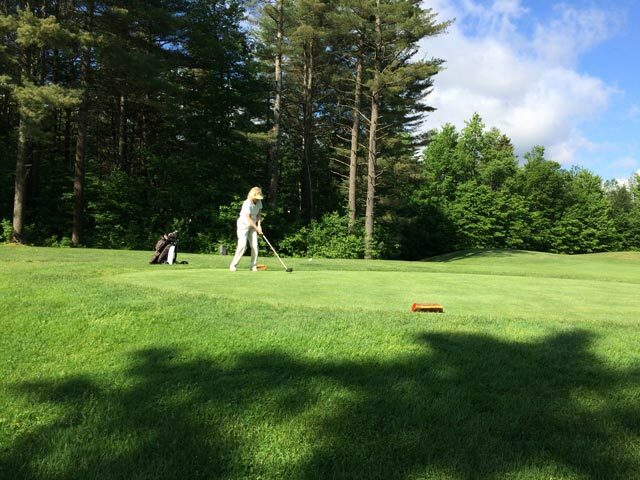 Planning your Vermont golf vacation with the Birch Ridge Inn is easy. Start by using our online Golf Package Calculator to help you plan out the cost of your golf vacation. When you have planned your package out, click the "Make Room Reservation" button on the bottom of the Golf Package Calculator it it will take you to the Birch Ridge Inn's online reservation system. Fill in your contact information, select your room and golf package options, and book your package. Easy peasy... Do it now. Once we have received your lodging reservation, we will contact you to confirm your reservation , and set up your golfing arrangements. Bill and Mary with work with the local courses to coordinate your tee times and other needs. Vermont has too many good courses to miss this summer! Of course, you can also call the Birch Ridge Inn directly at 800-435-8566 or 802-422-4293 and speak directly to the innkeepers to book your golf vacation if you prefer.